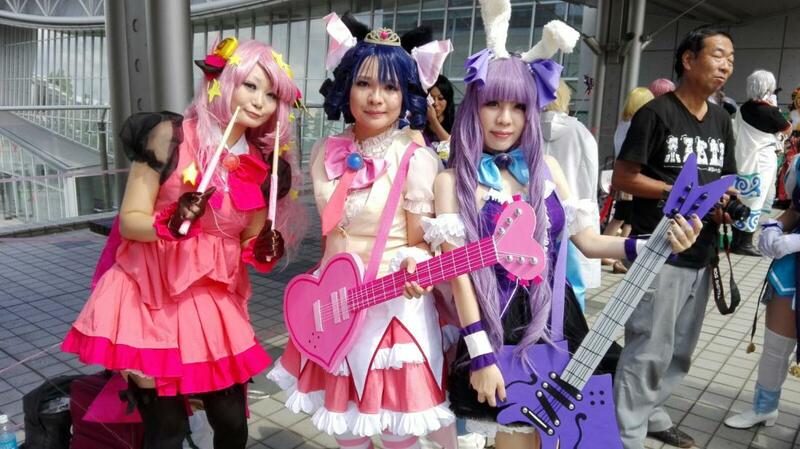 Comic Market or Comiket as I will call it from here on out, to the west usually is merely a mystical event. A place you’ve heard stories about, seen referenced in Anime and Manga, seen pictures of and fanart from. It’s something that the majority of people in the western world have relatively little chance of experiencing, after all, it is on the other side of the world and there really is no comparable event anywhere in the world. During my one-year stay in Japan, I had the chance to visit Winter-Comiket and it made it for an absolutely fascinating experience I’m unlikely to forget all too soon. 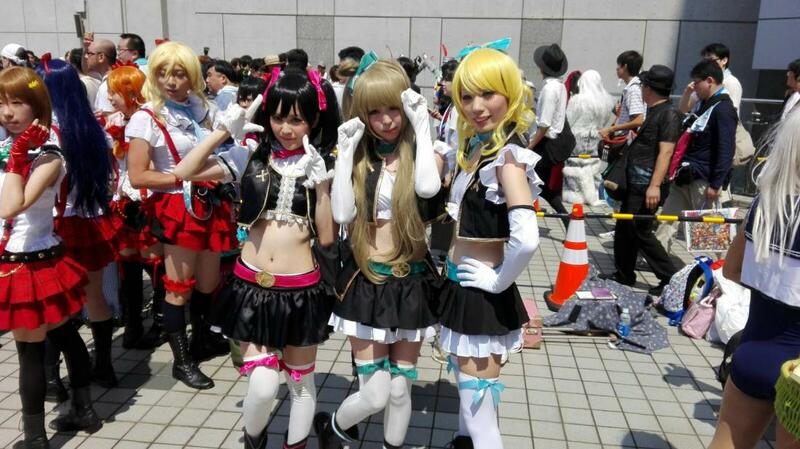 For starters, let me explain what Comiket in itself is about for those who aren’t familiar with it. 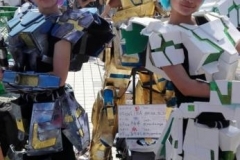 As aforementioned, the name “Comiket” stands for “Comic Market”. 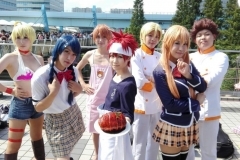 It’s a bi-annual event focusing on what the west generally dubs “Otaku-culture”. This includes pretty much anything from Anime and Manga, Doujinshi, over music up to things like fanfiction or self-published web novels. The possibilities are near endless. The difference to your average foreign con is the actual focus of the event. 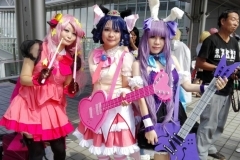 Although a huge amount of companies are represented at Comiket and depending on their popularity can attract absolutely massive crowds, the event itself is mainly about fan created content. This manifests itself in several gigantic halls, packed to the brim with booths of different artists trying to sell their work over the course of the day that rotates each day in order for as many people as possible to be able to put their work on display. 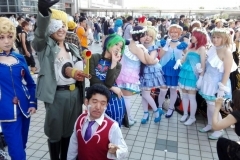 Being generally handled as the biggest convention in the world, it should be no surprise that Comiket is not friendly to those who dislike large crowds. The 91st iteration, the one I visited recently, listed over 550.000 visitors over the 3 days in its after report, more than any other convention in the world. A crowd this insane of course also brings with it quite a few negatives. It’s incredibly hard to get your hands on a lot of the popular doujinshi and company merchandise due to the sheer amount of people streaming into the halls, making it absolutely necessary to get into Tokyo Big Sight as early as possible. These circumstances have sparked people to start lining up at absolutely impossible hours to get their hands on the things they want the most. So guess what I did. On the first day of Comiket, I woke up at 3 am (Seeing as the Shiohama Sharehouse is relatively close to Tokyo Big Sight, this would mean that if I walked I’d arrive before the first train and with that a big majority of the people attending Comiket). There was a particular, relatively popular company selling a lot of things I wanted to get my hands on, so I did the thing a lot of Comiket attendees will do for their favorite merchandise and woke up around the time I would usually go to bed. Packed with entertainment to pass the time, Food to feast on once I’d eventually get hungry and a good amount of caffeine to keep me awake throughout the day I made my way to Tokyo Big Sight, trying to mentally prepare for the more than five-hour wait I had ahead of me. I’m sure this must sound like absolute hell to most people and that was absolutely what I was thinking it would the evening beforehand, but as it turned out the waiting time was much better than expected. This was partially thanks to my luck of finding someone I would end up being friends with shortly after arriving but also thanks to the general organization of the lines. Although incredibly full from the start the lines don’t feel nearly as cramped as one would think, you can leave the line at any point in order to get food or drinks at nearby vending machines and stands and even bring your own blanket or chair to sit on as you wait. In the end, the hour-long wait outside of Tokyo Big Sight in the morning may not be comfortable, but it’s certainly not something that will make the entire con experience any less worth it. To me in fact, it only made it all the more memorable. The incredibly long waiting time only ended up building up my anticipation for the event even more and made getting to the booths I wanted to get to and buying the things I was planning to get all the more satisfying. 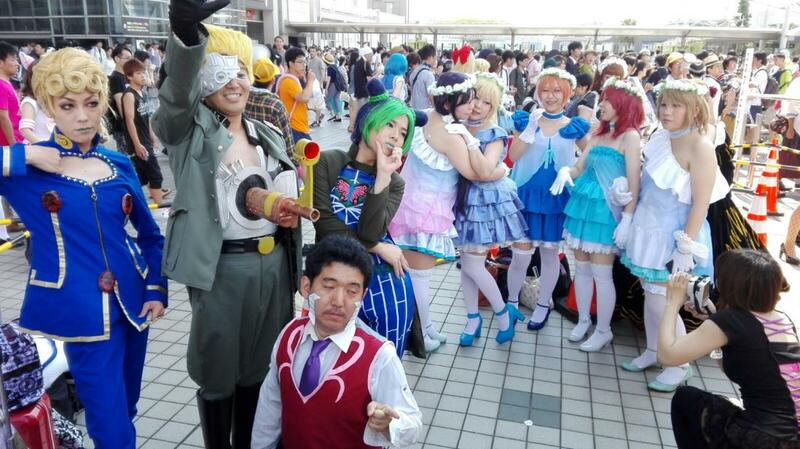 If I were to go to Comiket again I would undoubtedly do it the same way again. Of course, if you don’t have any specific, popular things you want to buy there’s little reason to go through anything like this. Comiket’s organization is absolutely impeccable and makes for one of the smoothest line experiences I’ve ever had. Of course, it helps that the convention in itself is 100% free meaning no ticket-checking is required, but around an hour after the convention opens there’s already close to no need to wait in line anymore. Sadly, that means with all of the people that were originally waiting outside inside already the halls are absolutely cramped and, even worse, the lines for popular artists can be endless. Lines often have to be either led to the outside to continue lining there or have to be cut into several smaller parts so people can continue walking through the already relatively small corridors in between booths. 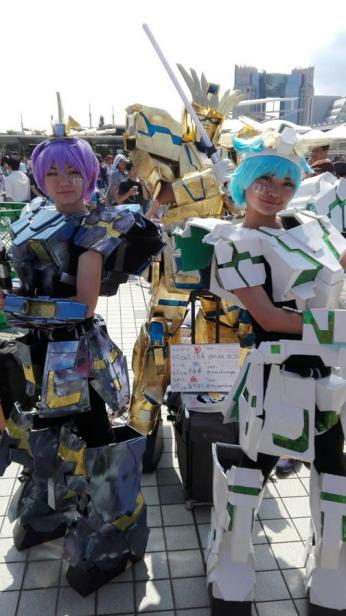 50 years of experience in holding Comiket, however, make all of this a surprisingly smooth ride as both the people working on site, as well as a lot of the visitors already know the general drill. The event feels chaotic, but it still at all times seems to be under people’s control. It’s an overwhelmingly odd experience, but for something as gigantic as this to work at least just as well as every smaller foreign con is fascinating to me. 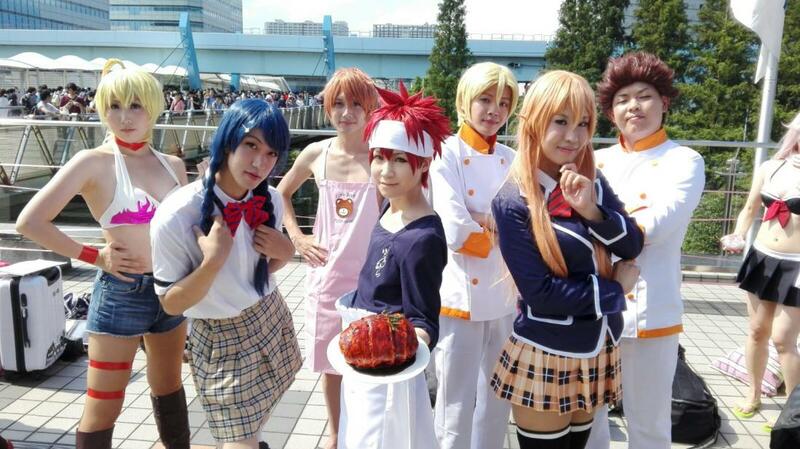 So would I actually recommend you to go to Comiket? Absolutely. Even if you aren’t hugely into Anime and Manga, I do believe that at the very least the experience of the event is something that’ll stay with you for quite a while. I do urge you, however, to think beforehand about how you would like to enjoy the event. Having done both the Hunting after things I wanted to have and the casual strolling around the artist’s alley to find things to spend my leftover money on, I can say that both of them are incredibly fun in very different ways, but the former does have a lot of effort put into it beforehand. Doing research via the guidebook available in Akihabara the weeks beforehand, looking up your favorite artists, planning out the best routes for buying your stuff, getting up extremely early etc, is quite exhausting but extremely worth it. On the other hand simply strolling around the convention does, of course, have its own merits. The experience can be extremely calming and is a lot easier especially in its preparation. Instead of the constant running around it allows for a lot more actual looking through things and surprise artists you might not have found otherwise. Regardless of what you chose to do, Comiket is an absolutely insane experience and if you ever get the chance, I highly recommend you go through it!